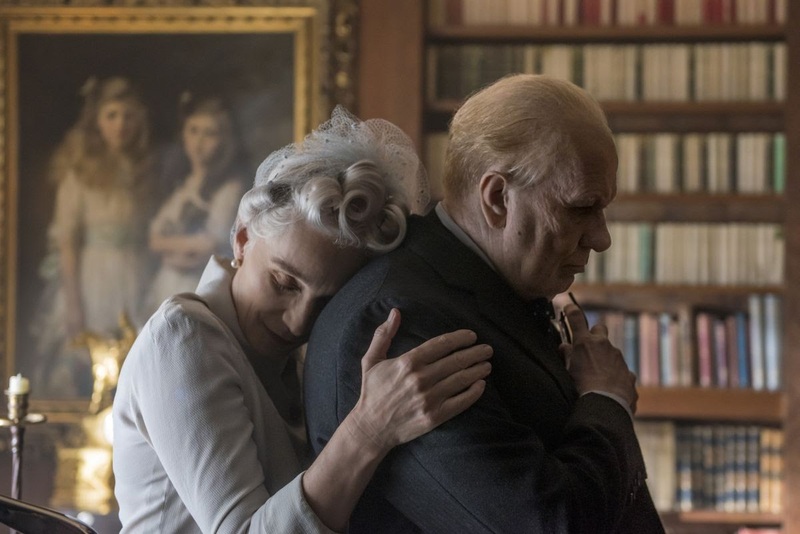 Of all the nominees for Best Picture, Darkest Hour may certainly be the film with the most “Oscar bait”, but it is nonetheless a well made motion picture deserving of Academy Award recognition. While the criticism of “Oscar bait” is valid, it should be directed more towards the Academy itself than the film. Darkest Hour presents a compelling historical narrative (with much to teach us about the present), an outstanding lead performance from Gary Oldman, and a somber reminder that ‘fighting the good fight’ is often the toughest thing to do. These elements may ‘bait’ the Academy voting members, but Darkest Hour earns its accolades and a Best Picture win (though unlikely) through not just its messaging, but its ultimate timelessness despite its historical setting. Putting Gary Oldman’s lead performance aside, this film really shines because of its smart direction and incisive screenplay. 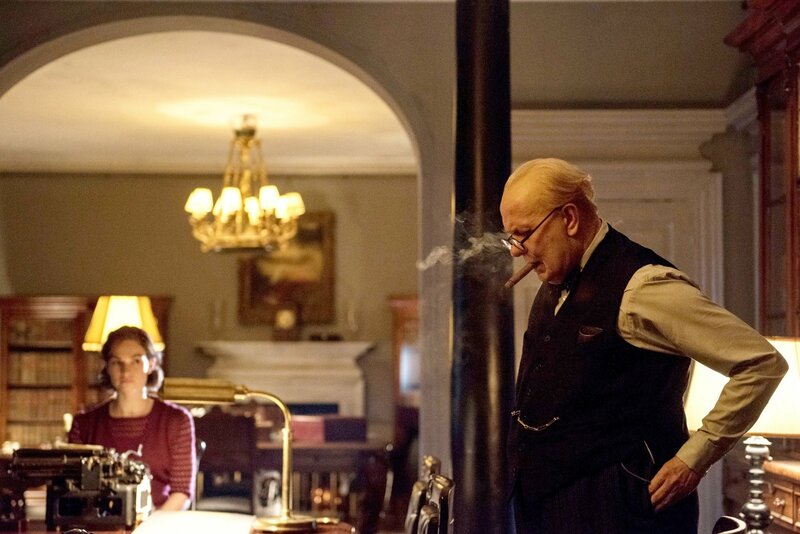 Director Joe Wright and screenwriter Anthony McCarten may on the surface be spotlighting the rise of Winston Churchill, but are really providing an inspirational and surprisingly topical commentary on how to react to oppression. Churchill didn’t ask for the leadership of his party and country (at least not in the spring of 1940) but rose to the occasion to deliver a spirit of defiance the British people needed in the face of Nazi aggression. Yet he had doubts and even considered a possible peace negotiation with Hitler, making him a most complex and real hero. He did waver, but when all was said and done the choice was clear: confront evil and be proud of it. This film may recount the story of fateful events in May 1940 and Churchill’s decisions, but its real importance lies in the everlasting lessons Churchill’s decisions have on today. Oppression by Hitler is the same as oppression by Kim Jong Un, no matter what the year; how should we respond to acts of terror, intimidation and global evil? The story of Winston Churchill’s leadership is thus not merely historical but forever timeless. And it’s precisely this theme that Darkest Hour captures brilliantly. With its use of history as a framing device, the movie successfully creates a portrait of the very difficult path it is when facing against forces of malice; outcomes may be unclear but challenging evil can never go out of style. "DARKEST HOUR SUCCESSFULLY CREATES A PORTRAIT OF THE VERY DIFFICULT PATH IT IS WHEN FACING AGAINST FORCES OF MALICE; OUTCOMES MAY BE UNCLEAR BUT CHALLENGING EVIL CAN NEVER GO OUT OF STYLE." For this reason, it may be argued that Darkest Hour is thematically the most important of all the films nominated; perhaps not as dazzling or ‘original’ as others, what this film has is a firm grasp of the complex thing that is humanity and how to deal with humans who go woefully astray. Yes, there’s been an abundance of historical dramas before (and will be more in the future) but that shouldn’t lead us to throw Darkest Hour in the pile of “just another history movie”. It truly is a most valuable lesson, both historically and more importantly in contemporary times. While talk of ‘bait’ is legitimate, it cannot be denied that Darkest Hour is effective in its narrative. Winning Best Picture would be a deserved award for this film for through its historical lens it illuminates today’s issues. Like the films 12 Years a Slave or Schindler’s List, Darkest Hour provides a lesson tied to the past but brilliantly and often painfully relevant today. For this it more than warrants its nomination and a potential victory as Best Picture.